We endeavour to offer the best price available on all of our branded and own brand products. However, if you find the same product cheaper elsewhere we will strive to match this price where possible. 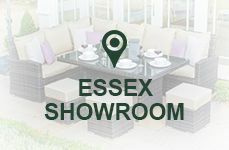 If you've found one of our sets cheaper elsewhere, please give us a call on 0333 1 235 235 to discuss a price match. How do we set fair prices for our own brand products? 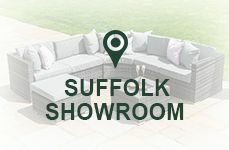 All of our own brand products are developed using high quality materials to bring you top quality, long-lasting furniture. To ensure we offer the most competitive prices, we regularly benchmark all of our own brand products against similar products on the market. How do we ensure branded products are always competitively priced? 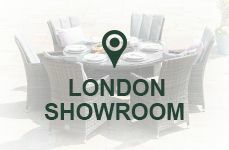 We work closely with several large brand names in the garden furniture industry, such as Maze Rattan, Kettler, Alexander Rose and 4 Seasons Outdoor. We have a dedicated price-monitoring team who work to ensure that all of our prices on these branded products comply with the brand's own pricing rules as well as being competitive against other retailers of these items. We do not expect you to find these products cheaper elsewhere, but if you do, you can easily make a price match request. When will we price match? We will price match a product if you have found the item cheaper online and you can provide us with evidence of where you have found the item online. We will price match an item if the offer exactly matches our own offer. For example, if our product comes with a free cover or other free items, the other retailer must also be offering the same inclusions. We will price match the product if the product is exactly the same as the product we offer, is of the same quality and is sold in the same condition as our product, e.g. a new product that is not ex display stock. We will price match the product if both we and the other retailer have the item in stock and ready to be shipped. When do we have the right to refuse to price match? Whilst we aim to price match every one of our products found cheaper elsewhere, unfortunately there are circumstances where will not be able to price match. We may not offer a price match if this lower price would mean that as a business we suffer a loss. We may not offer a price match if the item you have found cheaper is only available in store and not an online offer. We may not offer a price match if either we or other retailer is out of stock of the item. We may not offer a price match if the item is cheaper elsewhere due to a sitewide discount code. We may not offer a price match if the item has already been delivered. We may not offer a price match if the item is not of the same quality as the product that we offer. We may not offer a price match if we are offering free items included with the product and the other retailer is not offering the same bundle. What about our concessions and franchises? Our concessions and franchises will follow the same policy when it comes to price matching products. If we have agreed to price match your item and we are offering a site wide promotion, e.g. a 10% off code, we will not be able to price match and then offer the discount in addition to this. The price matched price will be the final discounted price offer. 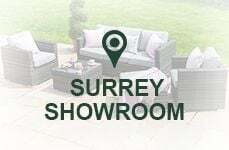 We understand that if another retailer is offering the item cheaper that there has to be a reason for you to choose us which is why we are proud to offer outstanding customer service. We are well known for our high quality products, our passion and our expertise in what we do. We are a family run business that works around the clock to ensure that all of our customers are happy, that every phone call is answered, every email responded to and every query resolved. We endeavour to offer 5 star service at every step of ordering, from easy website use and helpful sales advisors to delivery and product after care.